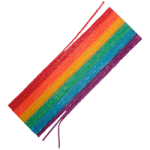 Have you heard of Wikki Stix? They are a super fun craft toy. My kid are 3 and 6 and they love them. They make letters and numbers and they make paths, cages, and fences for animals in their “zoo” and much more! 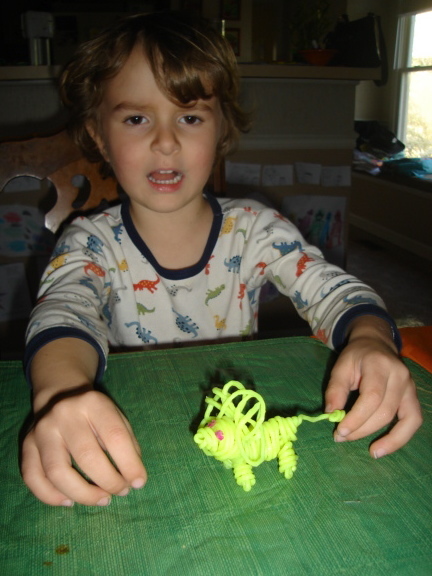 Wikki Stix are great for allowing children to use their creativity and imagination. 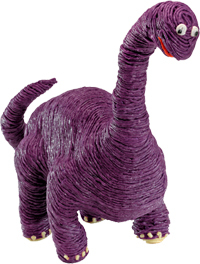 What Is The Wikki Stix Craft Toy? Wikki Stix are super easy to use. You just press them lightly and they stick to themselves, each other, or a flat clean surface. No glue, no paste, no mess. They are also easy to peel up and reposition so there is no preparation needed and no mess to clan up. Press ‘em down, peel ‘em off… it’s that simple! 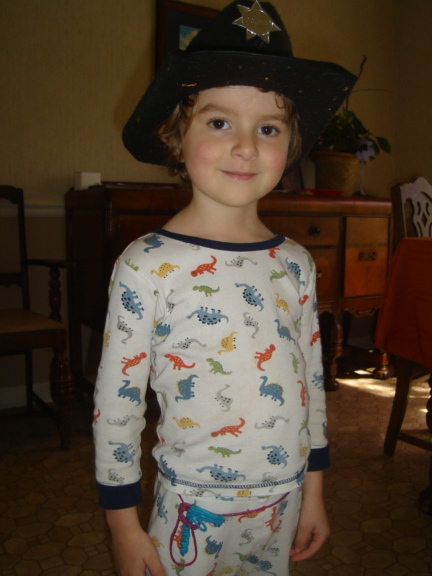 Wikki Stix are the Award Winning original — made in the USA for more than 20 years. 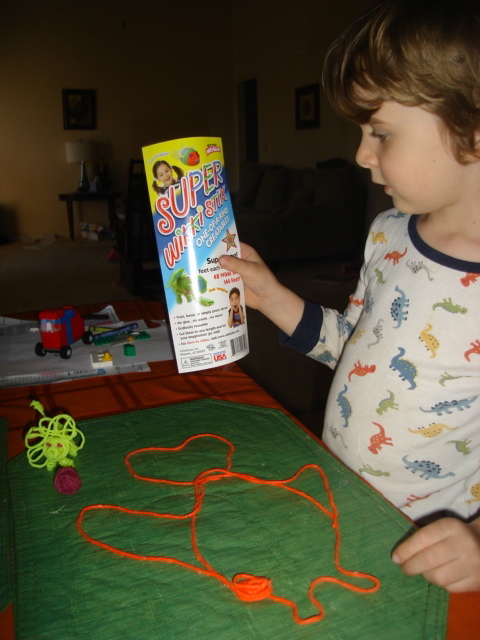 Wikki Stix are more than a craft toy, they’re a powerful interactive teaching tool! 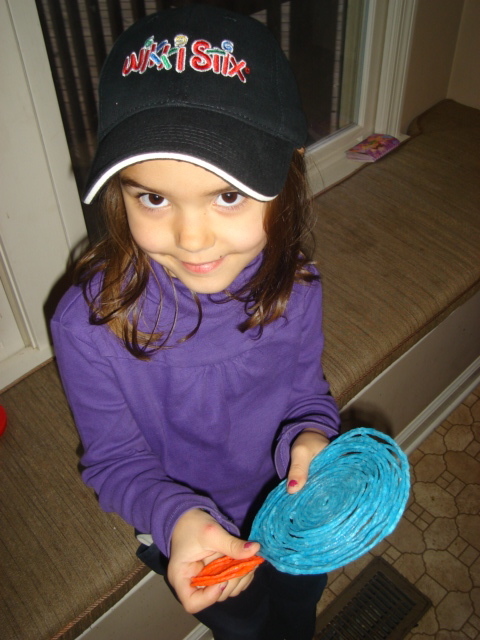 Wikki Stix also conform to ASTM D-4236, the safety standard for use in the schools. A $43.00 Value for just $19.95! Check out the Wikki Stix Special Offer ! They also have a cute video clip on that page that will show you some of the fun stuff you can make with Wikki Stix. 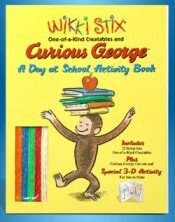 If your kids love Curious George, they are bound to love this Wikki Stix hands-on activity book featuring Curious George! 16 pages including 72 Wikki Stix, plus a cut-out fuzzy little Curious George to interact with the pages. Unique 3-D activity in the two-page center spread. Stand the book up and connect the facing pages with Wikki Stix to create a swingset for George to play on at school. 25% OFF TOTAL ORDER (excludes other special offers and Restaurant units). Enter code: MB24 at checkout to receive the discount until 4/30! I hope your kids love Wikki Stix as much as my kids do. I love how they can keep busy playing with Wikki Stix and I love to see their creations! I also think it is loads of fun to create things with them as a family day activity. Wikki Stix did provide me with the Super Wikki Stix in the hopes that I would share my honest opinions.